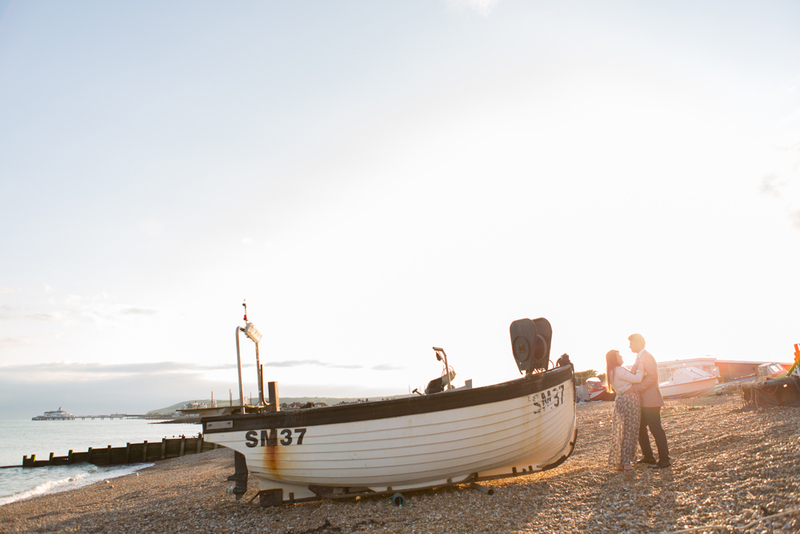 Rosie is a huge fan of all things nautical, so their local beach in Eastbourne at sunset was the perfect spot for their engagement shoot. They are a wonderfully giggly and happy couple, and although they were initially very nervous about having their photographs taken (as everyone is, myself included when I was getting married a couple of years ago), they were soon at ease laughing and joking away whilst I snapped from a distance. A pre-wedding shoot really is the perfect way for us to get to know each other better, for me to learn how best to capture you, and you to to realise that having your photograph taken really isn’t that scary or awkward (not the way I do it anyway!). 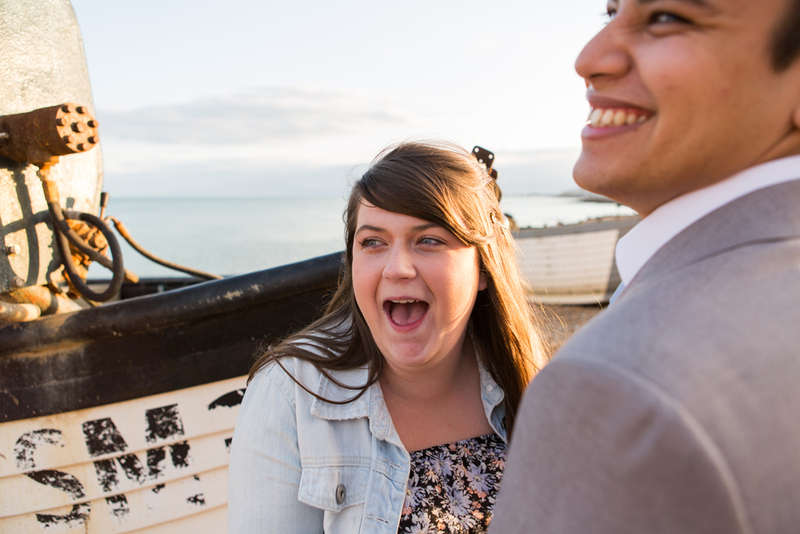 Which is why I now include a complimentary pre-wedding shoot for all of my couples. They even got so into it that they waded into the freezing water for a few extra shots at the end, that was until the fish skeleton washed up next to us!